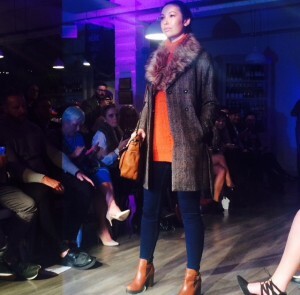 Claire Fox reports live from a coveted front row seat at Cork Fashion Week’s closing event, ‘Shine Bright’, Opera Lane’s Winter preview. 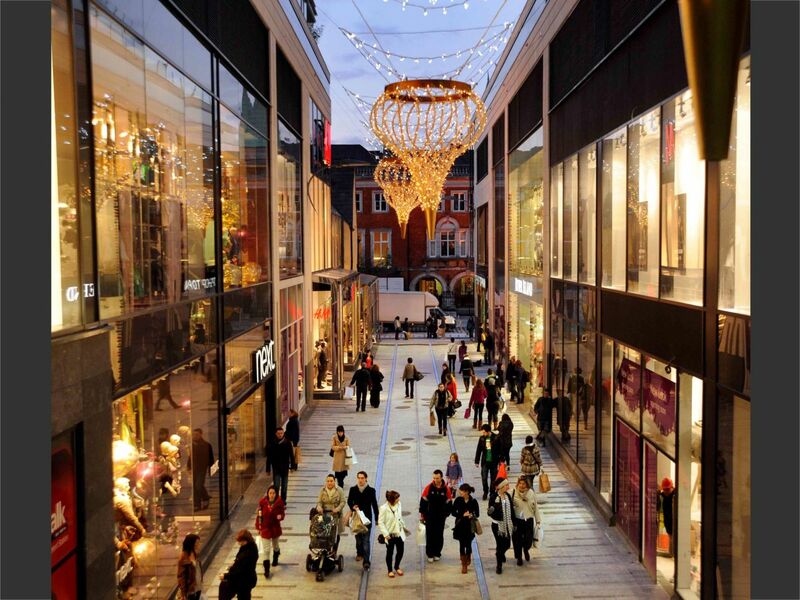 Opera Lane is undoubtedly Cork’s premier fashion district with Sketchers and Starbucks opening their doors on the street this year to join other established names like Top Shop, New Look and River Island. With DJ Stevie G on hand to provide a backdrop of beats, a host of models showcased the latest trends of the upcoming season to Cork’s “fashion influencers.” Gothic vibes reminiscent of Stevie Nicks was the principle theme of the first collection with sheer skirts, staple leather jackets and ankle boots the most popular of items on show. 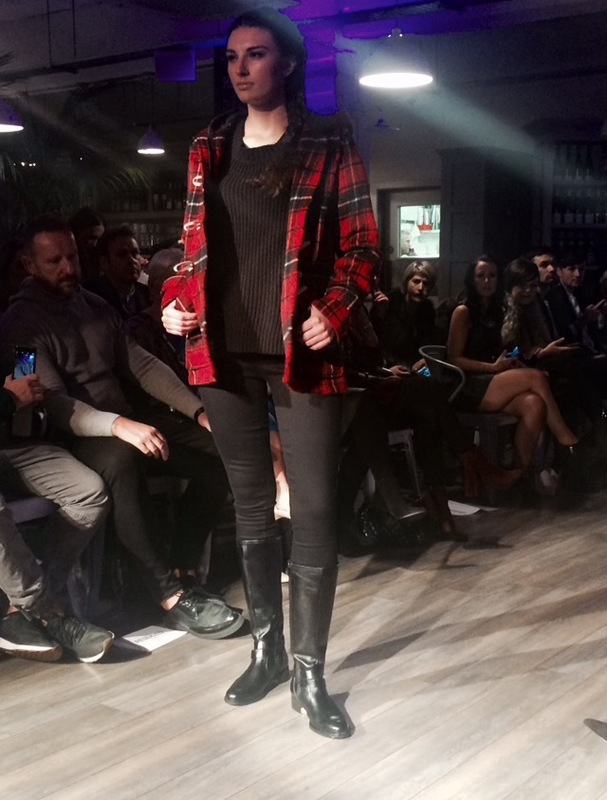 The next compilation consisted of modern street style pieces and functional clothing for your winter wardrobe. Classic seasonal looks included tartan jackets, fur collared coats and practical yet stylish riding boots while androgynous two-piece suits were combined with smooth slip-on Sketchers to create an edgy “London commuter” look. 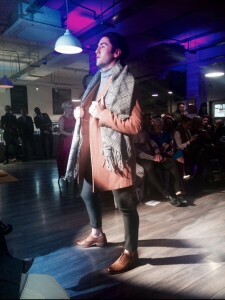 The final collection of clothing from Opera Lane was the much anticipated evening wear range. Like always, sequinned and metallic materials were the main items on display with a velvet emerald flared jumpsuit from Top Shop the most memorable outfit of the night. Men’s fashion was also catered for reflecting the stylish credentials of Cork’s ever growing bearded hipster population. Tailored jackets, trench coats and varsity-style scarves are set to keep the men of Cork warm for the winter months ahead and are key pieces for nights out as well as mid-morning lectures or days in the office. As an ever-growing Cork Fashion Week closes for another year it was only right that the city’s most prestigious fashion hub was celebrated in such an intimate setting and amongst the most cutting edge names in Irish style. So whether you’re in need of a new winter coat, statement accessories to finish off that outfit or just fancy a good old fashioned shopping spree why not take a trip down Opera Lane to lay your hands on this season’s most treasured pieces.